At first my intention was buying its Matcha Starter Kit for my family. So I took a train from JR Shibuya Station to JR Yurakucho Station and walked to Marunouchi Naka-dori Street to find the shop. At the time I visited, it’s almost the shop closed time. (30 minutes left) Because staff told me that she needed time to warp the matcha kit I bought. So I asked her if I could have some tea while waiting for it. She brought me to the tearoom inside. 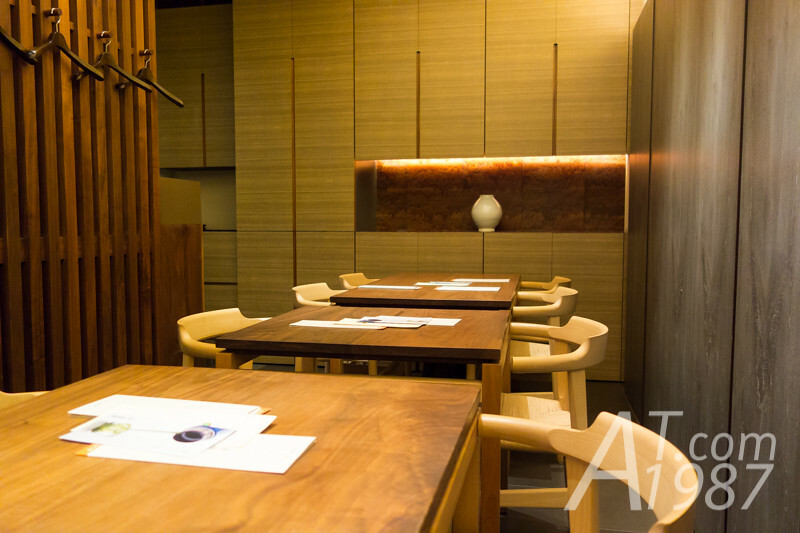 The shop decoration is minimalist yet have the feeling of Japanese traditional tearoom. 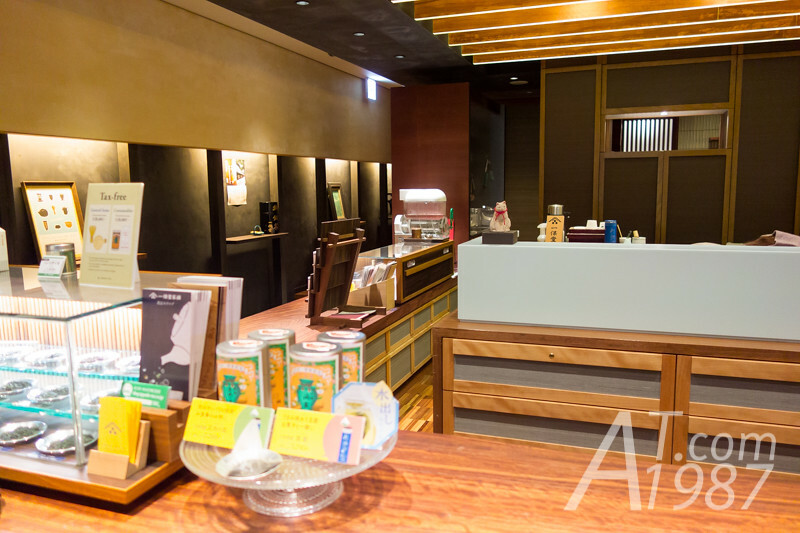 Ippodo serves many types of tea in its tea house such as people favorite matcha, gyokuro, sencha to bancha. Each types has different kinds of leaves to choose from rich to light flavor. I ordered Hosen the balanced flavor sencha which is recommended for first time drinker. After staff took my order. 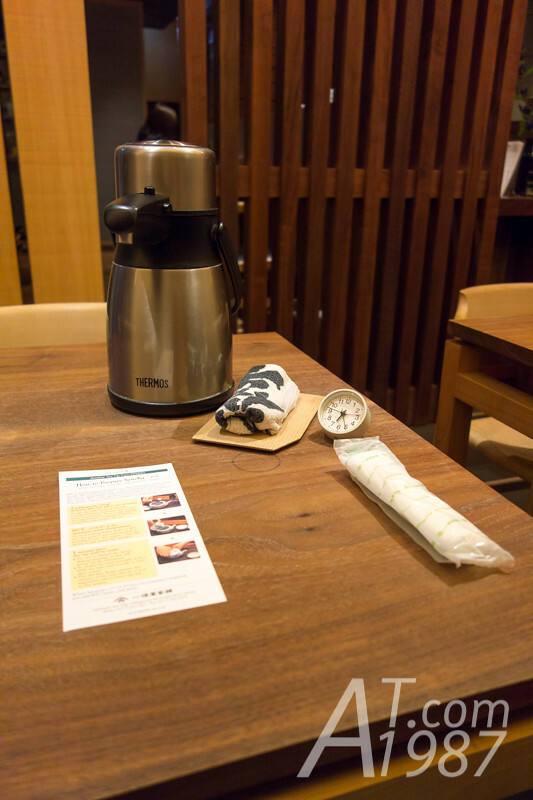 She bring a pump pot, cleaning cloth, hand towel, brewing instruction and timer clock. At first I though the timer is for keeping the time I sat in the shop. But she told its for keeping tea brewing time. 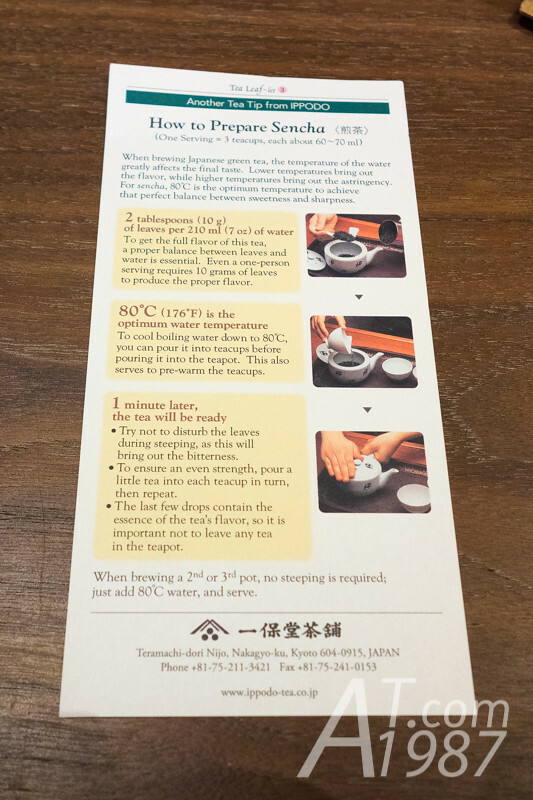 I asked the staff to tell me how to prepare the tea since this was my first time here. 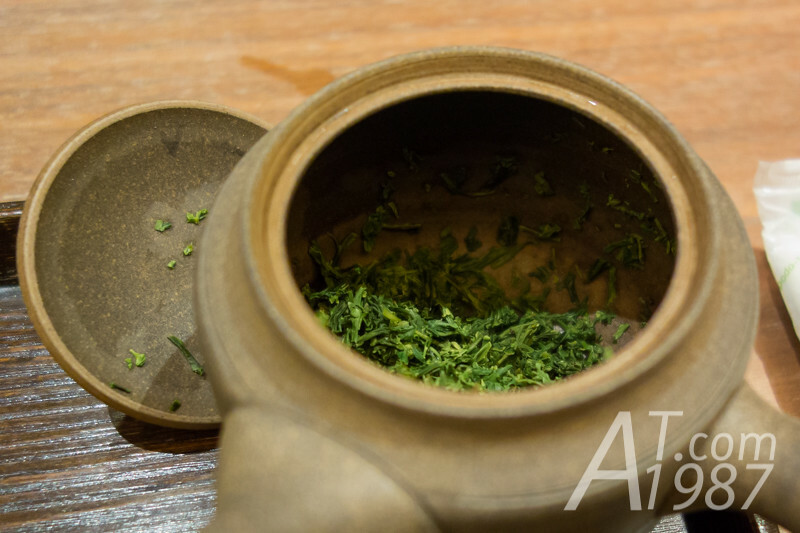 To prepare sencha, just put all the tea leave in the small can to the tea pot, pour hot water to the cup and wait until the cup is warm enough to be held. Then pour it in the tea pot, wait for 1 minute and pour all water from the pot to the cup. Here’s a cup of sencha. To prepare the next cup, just put warm water in the pot and pour it to the cup without waiting. 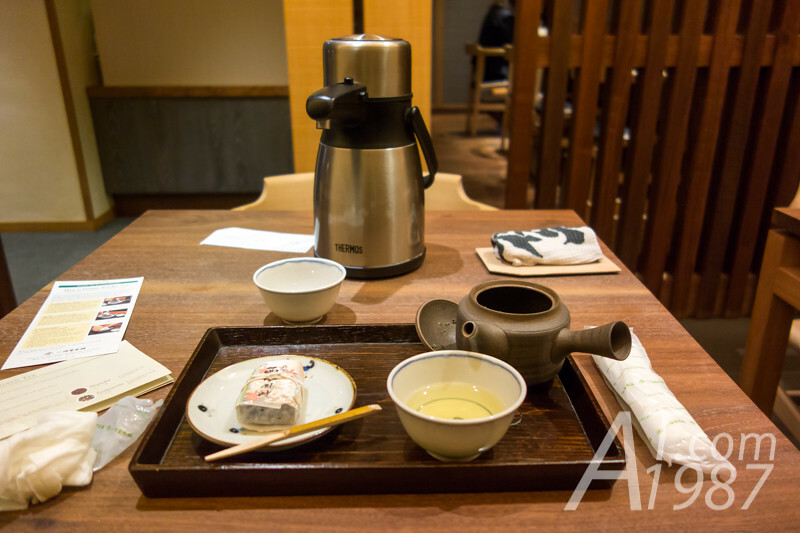 I could smell the sencha aroma when the staff poured it in the cup. My feeling when drank it was fresh, bitter with a little sweet and grassiness taste. Overall taste is more strong than the one I drank at Cha Cha no Ma. When I brewed the next cup. Its aroma and taste weren’t so strong like the first time. I prefer the taste of second cup but the aroma of the first cup. 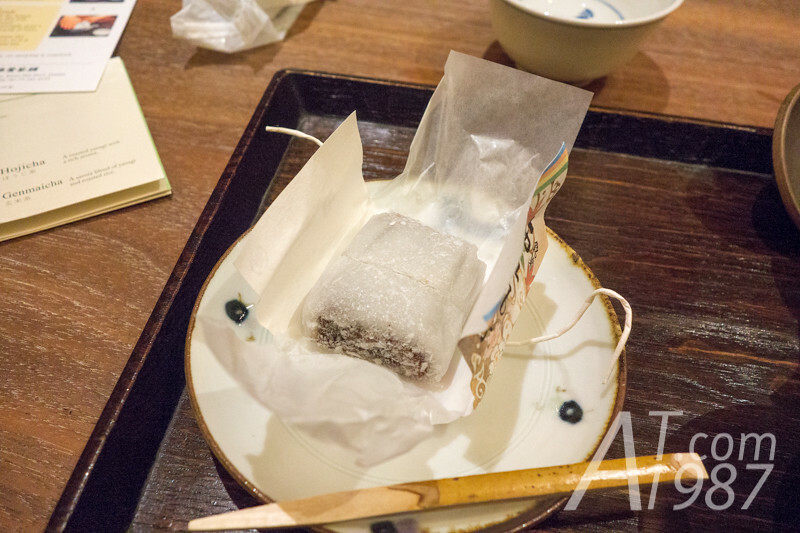 The sweet served with my tea is Nishijin Fumi of Senbon Tamajuken from Kyoto. It is like folded kimono. Inside is black sesame paste which is warped with rice cake. It is very soft, tasty and sweet. It goes well with the tea. I tried eating a few tea leaves. They were more fresh than the one I have in my country. After I made 3 cups of tea. Staff brought me the receipt for the goods and tea I had on the table which is the sign that they have to closed the shop. I really wanted to stay longer to make another 2 – 3 cup since the tea is quite expensive. After leaving the tea house, I visited a nearby Onitsuka Tiger shop in KITTE. 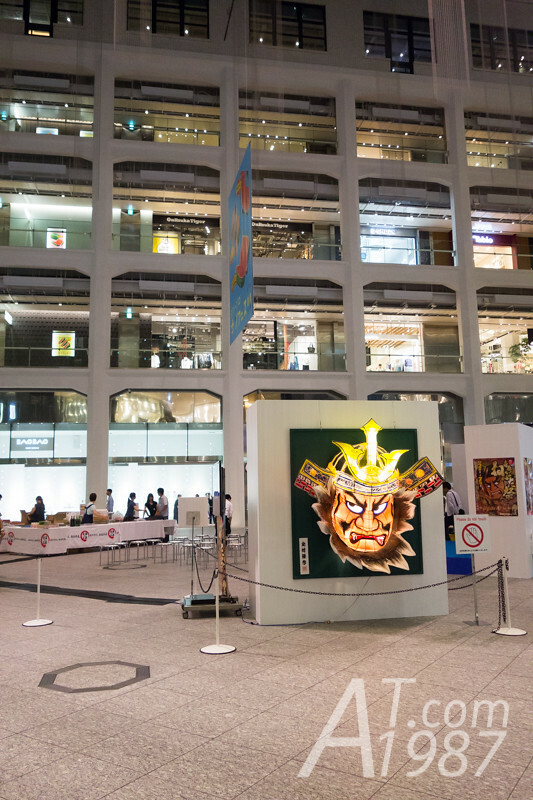 It was less crowd than other shops in popular places such as Shibuya and Omotesando branches. 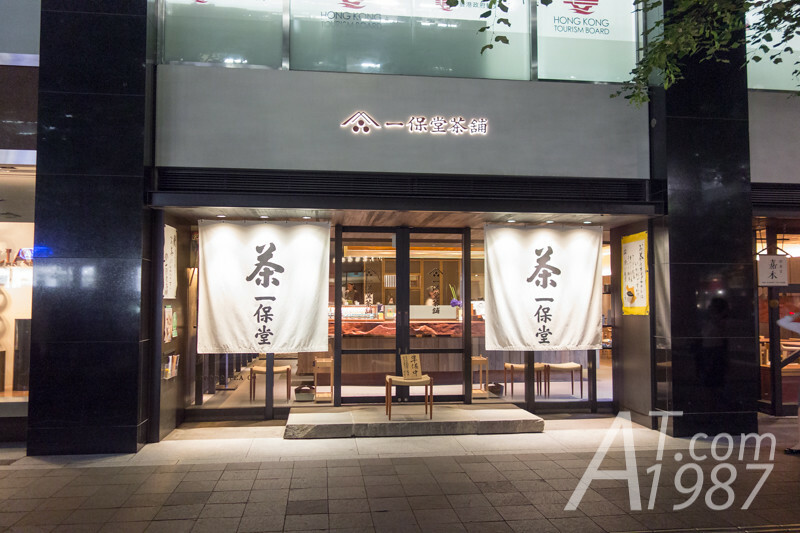 Its staffs were kind and provided a good service. For the seventh day dinner, I planned to have yakiniku which I was long for since Iwate at Yakiniku Stadium Jan in Ikebukuro. Unlucky it didn’t accept more customer when I visited. I had to go back to my usual Lawson near the hotel. That’s all of the seventh day of the trip. 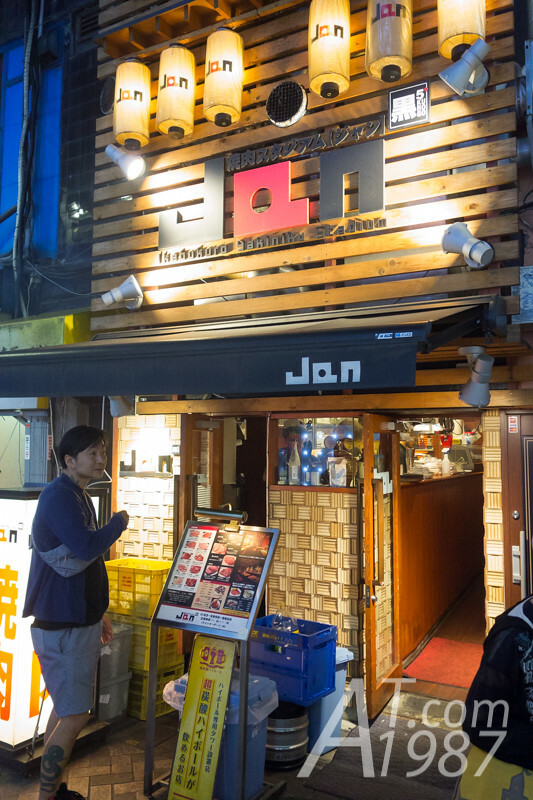 Next time I will write about the unaju restaurant in Kawagoe. Please look forward to it.